Read on for information about Books on Demand at Harvard Book Store. Find information on Custom Printing here. With our books on demand service, our customers can print paperback books from electronic files available online, including previously inaccessible titles such as Lewis Carroll’s original manuscript for Alice in Wonderland, Alice's Adventures Under Ground (1886), An Historical Sketch of Groton, Massachusetts, 1655-1890 (1894), and The Chemistry of Hat Manufacturing (1906), lectures that forever changed the British hat manufacturing industry. We can print millions of titles (including Google Books) that are in the public domain, as well as thousand of publisher-permission titles right to order! What does our book-printing robot have to do with Jurassic Park? Watch our staff's suspenseful and informative short film, Jurassic Books! 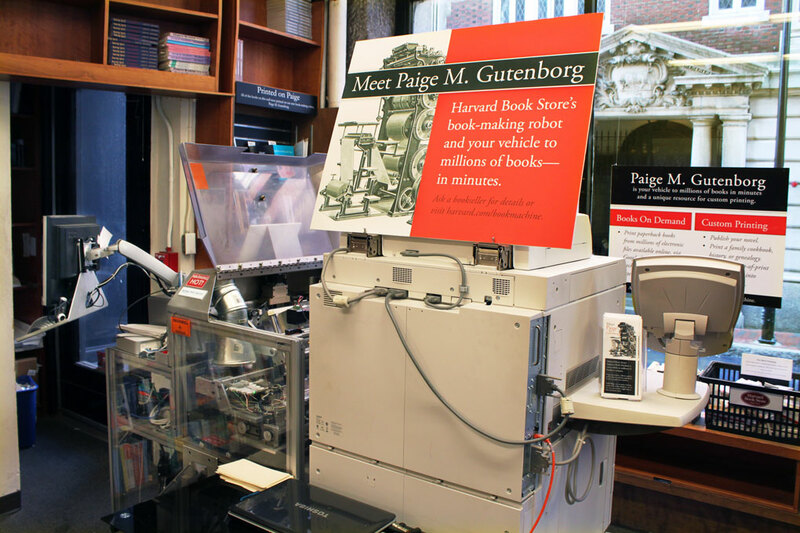 Print books on demand with the Espresso Book Machine and Google Books. A video from Google. And databases are constantly growing! 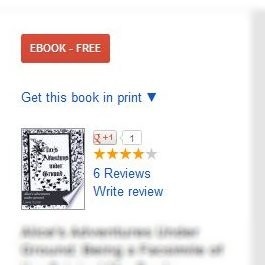 Once you've located the book in Google Books, click on the text that reads "Get this book in Print". 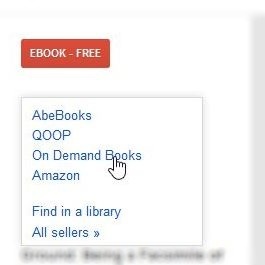 From the available options, select "On Demand Books". On the next page, select the "Get it" button by the option next to "Harvard Bookstore". You will be directed to the book's record on our site, where you will be able to buy the book following our regular online check-out procedure. If you have any questions, please email us at bookmachine@harvard.com. Public domain Google Books are the scanned collections of a number of libraries, including the Harvard University Library, and they may contain notations and other marks. Harvard Book Store makes no representation or warranty as to the content of Google Books, and Google Books are non-returnable. Please allow 3-5 business days for your order to be processed and your book to be printed. Books are printed in the order in which requests are received and our queue length can vary greatly. If you need your book quickly, please opt for priority shipping to be bumped to the head of the queue. Please note also that certain titles may need to be reformatted for the sake of readability. We do this at no additional cost to you, but it may add an additional 1-3 business days on to the processing time of your order. Contact our Print on Demand Manager directly with questions or to schedule an appointment.